This is because most of couples commit financial infidelity in a relationship and later quarrel about it several times. this topic is most likely going to end up with lots of differences in opinion. But, according to the relationship experts, this topic needs more attention when couples are going to start a serious relationship. You need to have a detailed discussion on money while dating your partner. This is because most of couples commit financial infidelity in a relationship and later quarrel about it several times. So, are you thinking to turn your casual dating into serious relationship? If yes, then you need to read this article and move forward accordingly. What type of job is perfect match for you? What do you want to do in next 5-6 years? If you want to get a clear picture of your partner's money habit, then you need to play some tricky games while dating. Are you interested for vacation budgeting? Should we limit our vacation spending? Will you like the idea of splitting the overall cost? Our first vacation should be planned according to our income. Is it ok with you? I have checked my credit score recently. It still needs my attention. what about yours? How was your college day? Would you mind to share about your first job interview? If your partner's credit score is good after paying off student loan debt, then the person have the ability to manage money with responsibility and you can depend on him/her as well. Is it ok with you to split every bills as 50:50 or 60:40? Will you mind if both of our names be on the mortgage? Should we both keep savings account? How do you define Ã¢savingsÃ¢? What amount will give us a secured future? Should we save a certain amount of money from every paycheck? Money topic is always a killer of romance but after getting married, each couple should talk about money because it becomes a serious part of your conjugal life. If both of you're not on the same money page then it can get worse day by day. So, try to start money talk at the initial stage of your marriage to have a peaceful and loving married life. Dilemma of Yours, Mine or Ours? How do you maintain bank accounts? Do you want to divide your money? How the bank accounts will be funded? Which account is dedicated for daily spending? Try to be agreed upon mutually. Thus, you can build trust and more comfort zone in your relationship. The most common topic almost every couple had fight on it, is Ã¢how much you spend?Ã¢. Your husband can ask you how much you spend on this designer dress? Or you may feel bad on the gym bill every month he rarely visit. Try to talk to each other and set up a mutual limitation for personal spending for each month. Try to set a plan that both of you can maintain. Proper planning and discussion can sort out daily money clash between married couples. So, respect your spouse's spending habit instead of judging. Thus, you can set peace and a proper budget as well! Future planning is must in every relationship. According to Galena Rhoades, Ã¢It's a terrible conversation to have but it is really important to plan for the future. Couples can do that well when they have a good relationship.Ã¢ Saving for future will give you support in any kind of emergencies like job loss, accidents, health issues and retirement age. But, this topic usually create many problems as every person have their own view regarding future financial planning, investment steps so on. For instance, some men are not serious about retirement planning. They hardly contribute money on retirement account. Rather they liked to spend money on family and friends without thinking about getting the money back. That his wife doesn't support at all. On the other hand, many husbands have obligation for his wife's extravagant and lavish lifestyle. 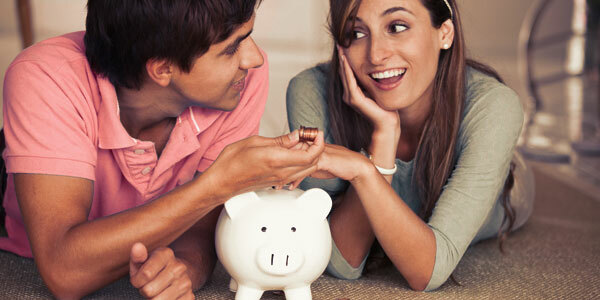 The husband wants his wife to save money and cut the unnecessary cost to secure their future. In this case, both of you need to be clear about your future financial goal. Sit and decide your financial priorities and plan accordingly. Start your future mission as a team and treat the money according to your plan. Thus, you can avoid clash and can get smooth financial support without much sacrifice. Apart from retirement planning, buying mortgage, vacation, student loan also be included. It's not true that where ideas are same fights doesn't exist. Differences in thoughts are very common as every person have different perception. But once you start sharing and talking you can easily handle those differences.